The name of one of the West’s most famous writers, Bret Harte, appears in several local histories of the San Ramon Valley. A small triangle in Danville at the intersection of Diablo Road and Camino Tassajara is even called Bret Harte Corners. 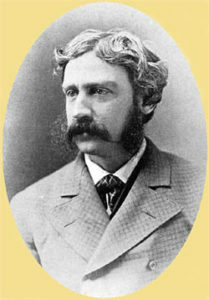 Just what did Bret Harte have to do with the valley? The story begins in March 1854 when a young Bret Harte arrived in California to stay with his parents in Oakland. At age 18 he was already writing and his experiences as a young man in the new state provided grist for his articles and poetry for years to come. One part of that experience was set south of Mount Diablo where, in September of 1856, he became a tutor for Abner Bryant’s four sons - Tom, Wise, George and Jonathan. Bryant had a ranch near Alamo Creek in the Tassajara Valley. The 1855 County Assessor’s book states that he had 83 Spanish mares and horses, 238 head of cattle, 652 Spanish sheep, two wagons and one buggy. Also in this letter, Harte commented that “Mr. Bryan(t) is a very religious man.” That autumn the young writer joined the Bryants at an evangelical camp meeting in the Valley; later he wrote an article called “An Apostle of the Tules,” which described the meeting’s revival atmosphere and begins with the date Oct. 10, 1856. Although Harte is credited with romanticizing the gold rush period in California, many of his works also recount the era’s harshness and isolation. Surely his stint with the Bryant boys in the wilds of Tassajara helped to give those writings their veracity. George Stewart, “Bret Harte, Argonaut and Exile,” 1931.